Megaworld, the Philippines’ biggest developer of integrated urban townships and the largest lessor of office spaces, achieved a net income of P5.43-billion during the first half of 2015, 12.51% higher than P4.82-billion (net of P11.62-billion non-recurring gain) during the same period last year. The company’s aggressive expansion of its pioneering concept of integrated urban townships and mixed-use communities across the country remains to be the key driver of growth for Megaworld. “The backdrop of the Philippines’ vibrant economy continues to benefit the local property market as evident in our first half results. We look forward to another bright year for Megaworld as we focus our efforts on aggressively expanding our townships across the country, and providing new and innovative offerings in residential, office and commercial businesses. This year, five new townships will be launched which will give us around 400 hectares of land for development,” says Francis Canuto, chief finance officer, Megaworld. The company’s strong performance in its rental business, which includes offices, malls and commercial centers, contributed to the sharp growth in the first half earnings. Rental income reached P4.21-billion in the first half of 2015, soaring 22.25% year-on-year from P3.44-billion in 2014. Earlier this year, the company revised its 2015 rental income target from P8-billion to P9-billion as it continues to expand its rental portfolio across townships. “We remain steadfast in strengthening our recurring income businesses. This year, we are opening new malls and office towers that will allow us more opportunities for leasing growth. Megaworld is on-track in achieving its P10-billion target in rental income next year,” adds Canuto. Last month, Megaworld announced that it is cementing its leadership as the largest office space developer and landlord in Fort Bonifacio, spending around P20-billion for 12 state-of-the-art office towers in the next three years. These office towers are expected to provide another 350,000 square meters of office spaces in Fort Bonifacio, adding to the existing 300,000 square meters of office space inventory that Megaworld holds in this booming district. Residential business, on the other hand, continued its momentum as real estate sales soared to P13.43-billion from P12.01-billion, posting 12-percent growth, during the same period last year. Boasting a 4,000-hectare land bank, Megaworld is now one of the biggest residential condominium developers in the country especially in the fastest growing metropolitan centers of Makati and Fort Bonifacio as well as emerging regional centers outside Metro Manila. Meanwhile, consolidated core revenues of the Megaworld Group, which includes Global-Estate Resorts, Inc. (GERI), Empire East Land Holdings, Inc. and Suntrust Properties, Inc., amounted to P20.93-billion for the first half of 2015, up 13.56 percent from P18.43-billion during the same period in 2014. 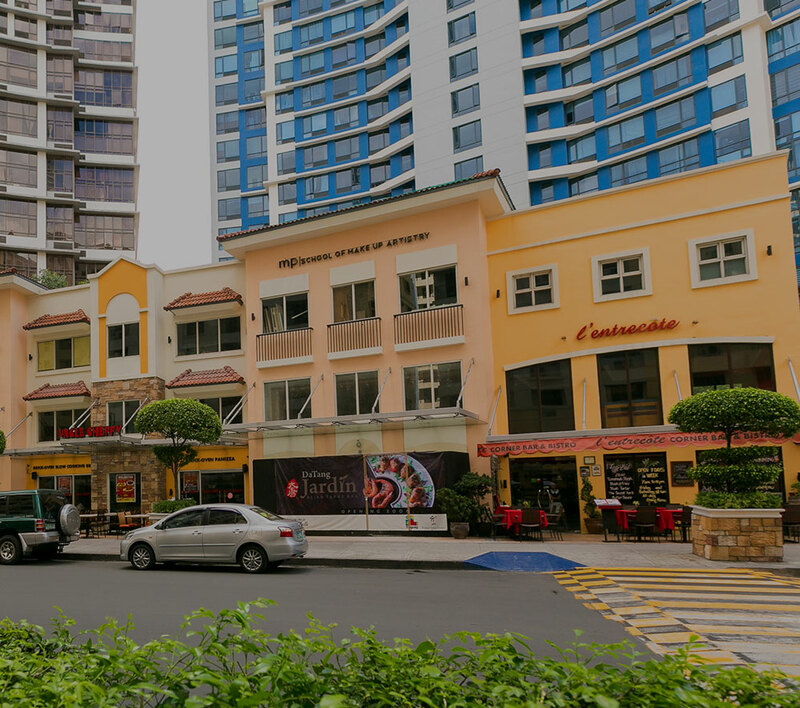 As the country’s pioneer in integrated urban township developments, Megaworld now has 18 townships all over the country, namely: Eastwood City in Quezon City, (18.5 hectares), which holds the distinction of being the country’s first cyberpark; Newport City in Pasay City (25 hectares), which is the home of Resorts World Manila; McKinley Hill (50 hectares), McKinley West (34.5 hectares), Uptown Bonifacio (15.4 hectares) and Forbes Town Center (5 hectares), all in Fort Bonifacio; The Mactan Newtown in Lapu-Lapu City, Cebu (28.8 hectares); Iloilo Business Park (72 hectares) and Sta. Barbara Heights (173 hectares), both in Iloilo; Boracay Newcoast in Boracay Island (150 hectares) and Twin Lakes in Tagaytay (1,300 hectares) of Global-Estate Resorts, Inc. (GERI), a subsidiary of Megaworld; as well as Woodside City in Pasig City (12.3 hectares); Southwoods City in the boundaries of Cavite and Laguna (561 hectares); Davao Park District in Lanang, Davao City (11 hectares); Alabang West in Las Piñas City (62 hectares); Suntrust Ecotown in Tanza, Cavite (350 hectares); and The Upper East (34 hectares) and Northill Gateway (50 hectares), both in Negros Occidental. Over the past 25 years, the Megaworld Group has developed over 342 completed residential and office buildings covering a total area of around 6.4 million square meters.